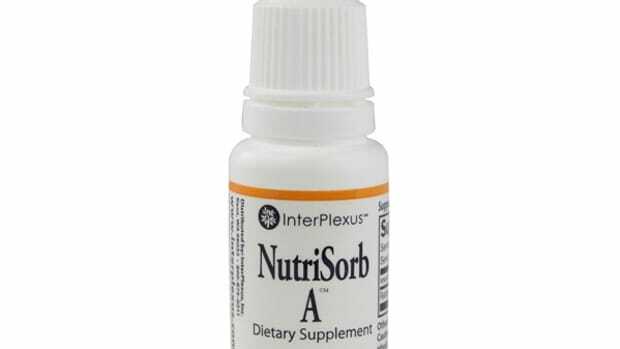 Correct the nutrient deficiency that causes breakouts. A: Robyn, in my opinion, YES. 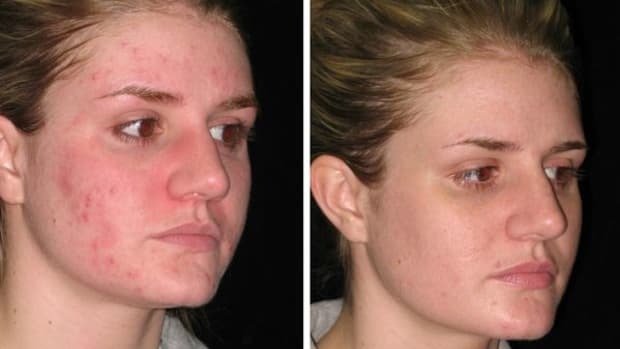 I think retinyl palmitate is actually a much safer and more effective supplement than cod liver oil for treating acne. Both are a source of vitamin A, which I consider to be one of the most important (if not THE most important) nutrient for skin health. Especially if you suffer from acne, which is often caused by a vitamin A deficiency (or low thyroid). 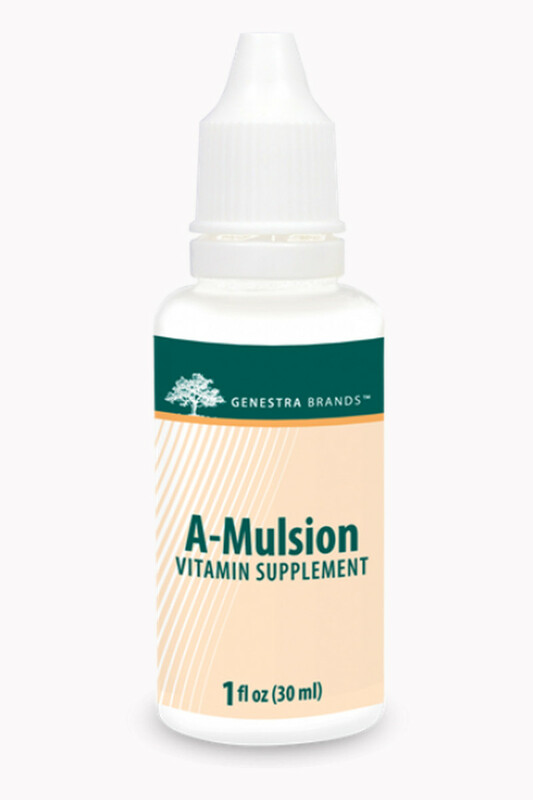 Vitamin A&apos;s role is to regulate keratinization (the shedding of skin cells). In acne-prone skin, cells shed too fast, leading to impactions within the pores. 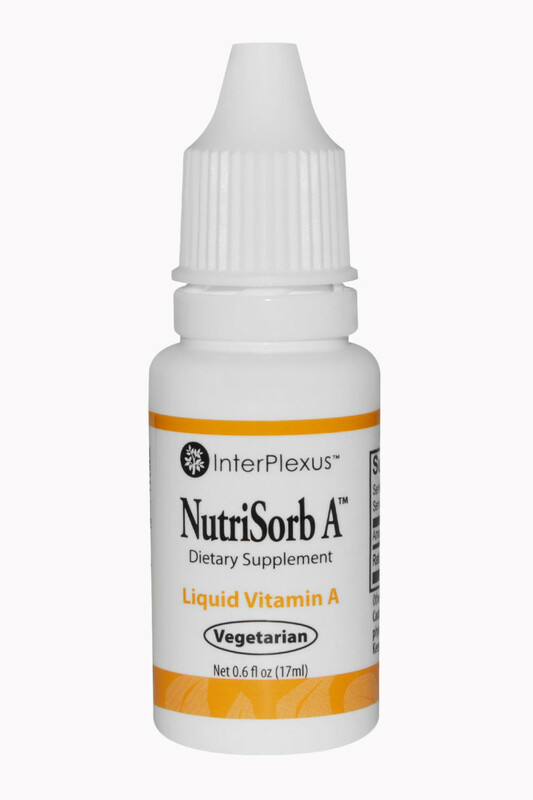 Vitamin A helps slow this down, so the cells can function longer, preventing the clogs that lead to breakouts. If you think about it, organ meats, cream, butter and eggs—all high sources of vitamin A—were standard meal fare back in the day. But those foods aren&apos;t too popular in modern diets, which is why so many of us are lacking in this essential vitamin. I suspect it&apos;s a major factor in the current epidemic of adult acne! So the safest way to up your A is to eat one serving of beef liver once a week. Food sources are always the lowest-risk option when you&apos;re trying to increase levels of any nutrient. Otherwise, you can consider a supplement—and I now recommend retinyl palmitate over any other type of vitamin A, including cod liver oil. 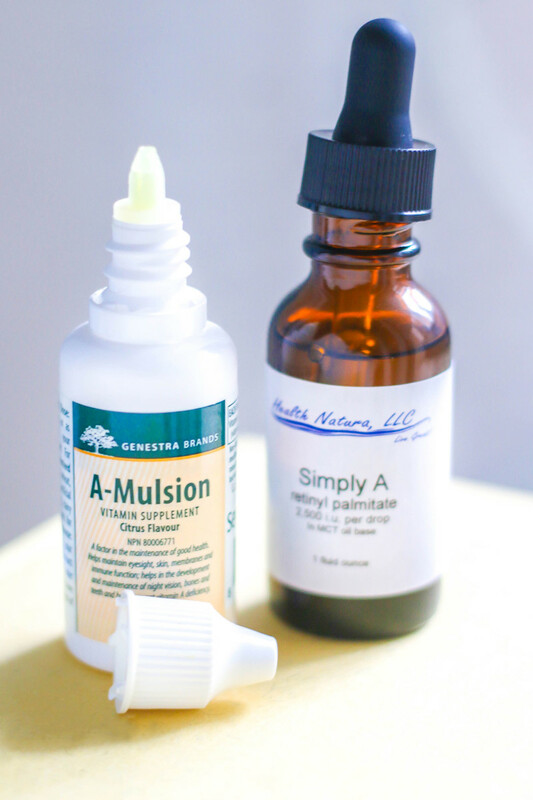 A retinyl palmitate supplement can help correct the vitamin A deficiency that causes acne. 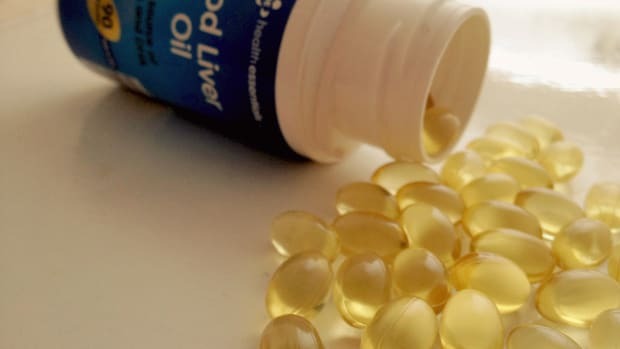 In my opinion, cod liver oil is not a good choice because although it&apos;s high in A, it contains polyunsaturated fat that suppresses your thyroid. Yes, it may "work" for acne in the beginning because of the A content, and because the lowered metabolism is lowering your A requirements, but this is at the expense of long-term health. In contrast, retinyl palmitate is a retinol ester, combined with palmitic acid (a saturated fatty acid). In the body, it gets converted to retinol, and then to active retinoic acid, which is how the magic happens! I prefer my retinyl palmitate (and any other supplements, for that matter) in liquid form. 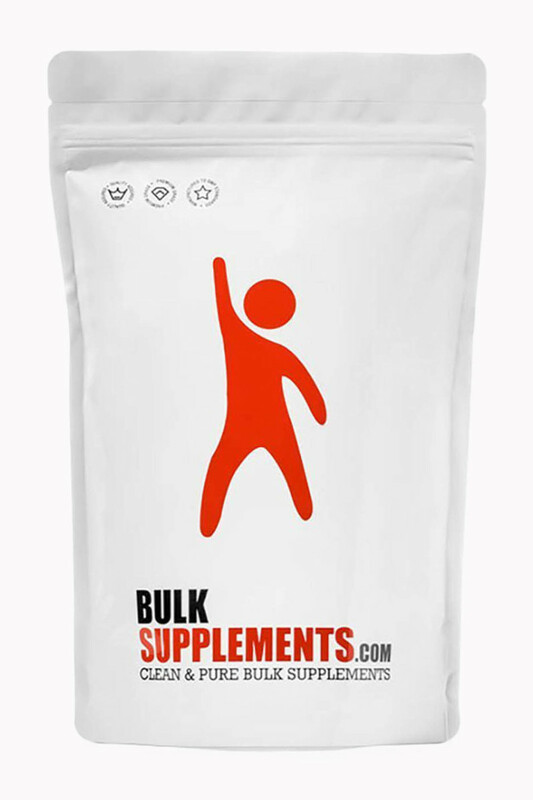 This means they have fewer excipients, additives and fillers that may have harmful effects. Ingredients: Retinol (as palmitate), purified water, glycerin. Ingredients: Retinyl palmitate, MCT (medium chain triglycerides) from coconut oil. 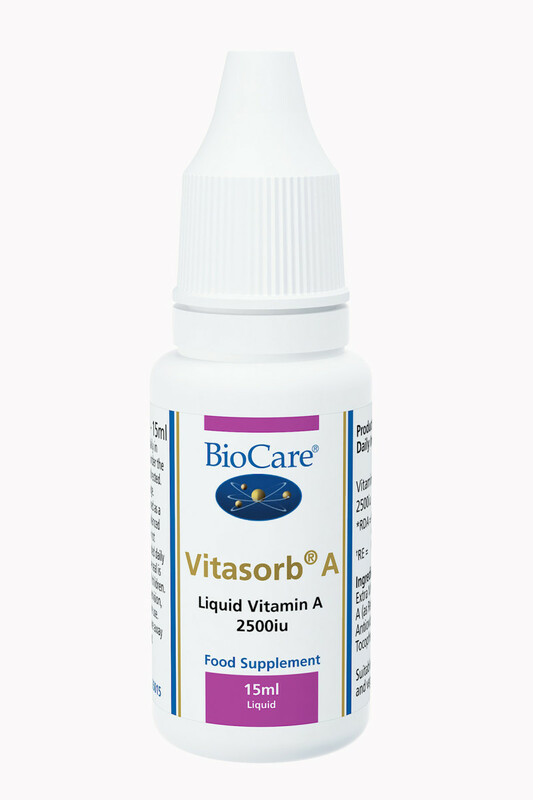 Ingredients: Vitamin A (as palmitate), gum arabic, starch, DL-alpha-tocopherol. Note: I would avoid any vitamin A or retinyl palmitate supplements, such as these Carlson softgels, that are loaded with polyunsaturated oils (most of them are, unfortunately!). These Source Naturals tablets are better, but I still think ingredients such as silica and microcrystalline cellulose are a bit questionable. Personally, I&apos;m taking the Genestra drops right now, with GREAT results! Just a few drops every day keeps my skin very clear and blemish-free, with reduced oil production. 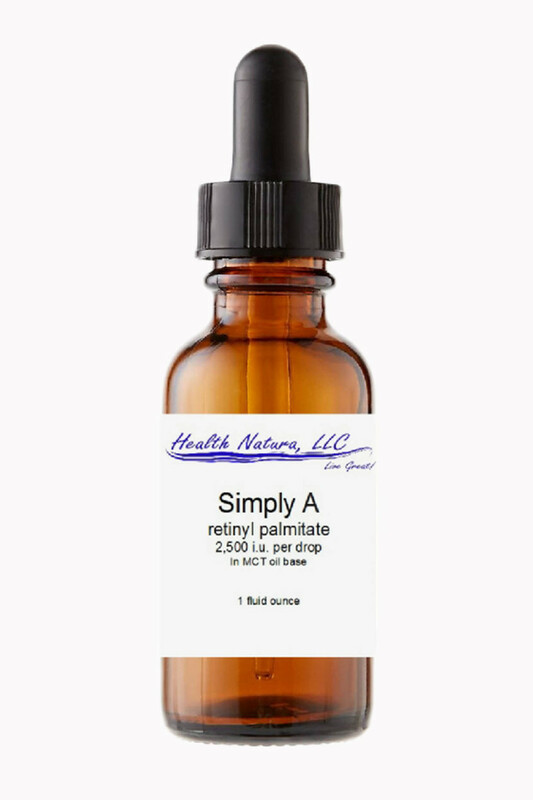 Let me know if you decide to give retinyl palmitate a shot, or if you hear of any other brands to add to this list! 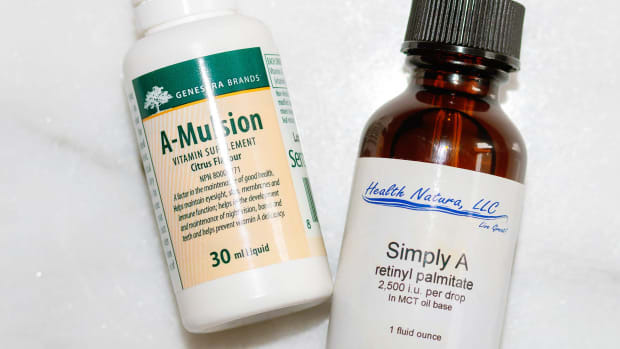 Have you tried retinyl palmitate for acne? It's time to get your vitamin A on. 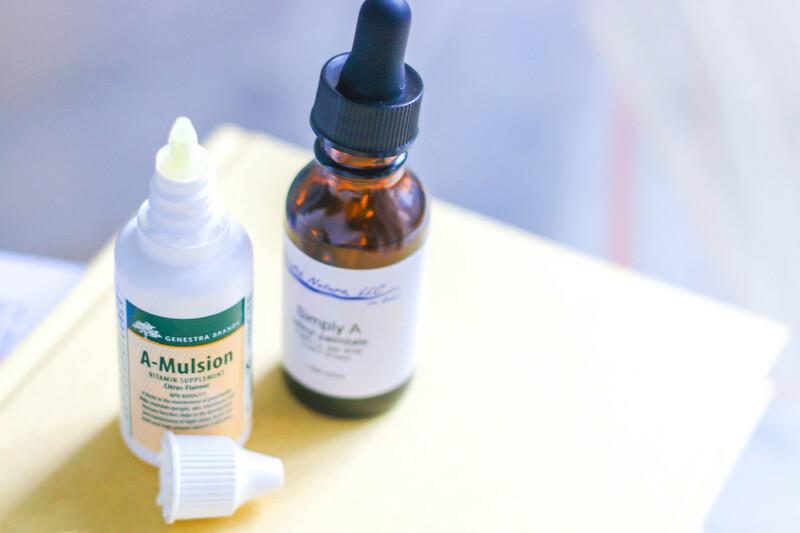 Everything you need to know about taking vitamin A for clear skin. 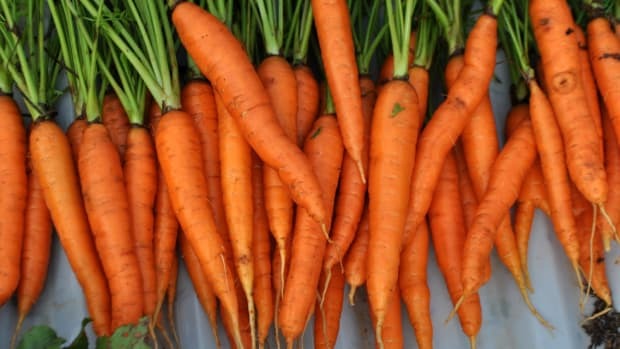 Could a carrot a day keep the dermatologist away? 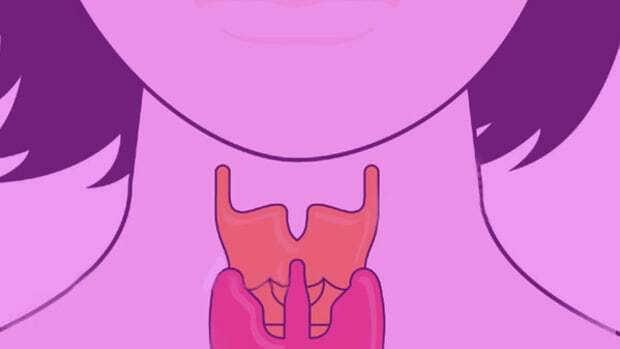 Is Low Thyroid Causing Your "Hormonal" Acne? There are safer, more effective ways to heal your skin from the inside out. The real reason dairy "causes" acne—and what to do about it. New hope for skin sufferers.